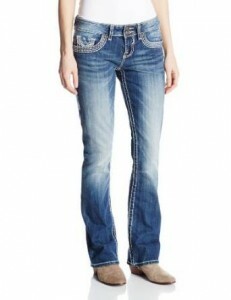 The most common fabric in a woman’s wardrobe from all over the world is denim. From a small child to the advanced maturity, the denim never leaves you, being your most faithful partner. In this article, I’m trying to give you some ideas which I hope to be helpful in finding the best combo for your jeans or maybe for your denim shorts. Choose bold colors, metallic fabrics and some short denim jeans with a hot cut and a pair of high heels. Don’t hesitate to wear a denim overall since it looks so good matched with bold accessories, necklaces and earrings. Are you young and it’s hot outside? It’s very simple then, you should match a pair of denim shorts with a very well cut and tight undershirt. If you add a pair of high heel shoes you will have a perfect look. In this case, a pair of jeans, a T-shirt and eventually a light jacket over it and you’re all set for a very nice and comfortable casual outfit. All these combinations which imply denim fabric have a great importance to your outfit collection and the reasons are easy to understand. First of all I’m thinking about its versatility, at the comfort level they give and last, but not least, about the fact that it has a lot of trendy combinations. Generally, today you turn to denim because it’s handy, because you have it in your closet and it’s easy to match, while obtaining very chic outfits. No matter your choice, the most important thing it’s to feel comfortable wearing this fabric. ← How should I choose sunglasses?